Emoto Music » ‘Mile… Mile & A Half’ is available internationally! 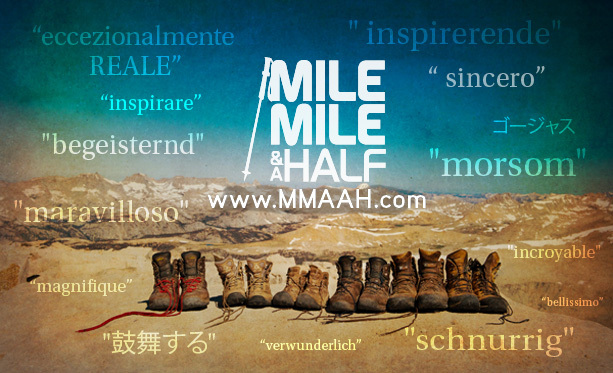 ‘Mile… Mile & A Half’ is available internationally! Mile…Mile & A Half follows a team of artists as they set out to hike the John Muir Trail, recording their experience. The film is directed by Ric Serena and Jason M. Fitzpatrick with an original score by Emoto’s Paul Bessenbacher and Bernard Chadwick of ‘Opus Orange‘.